This is an older pit bull terrier who is clinically normal. 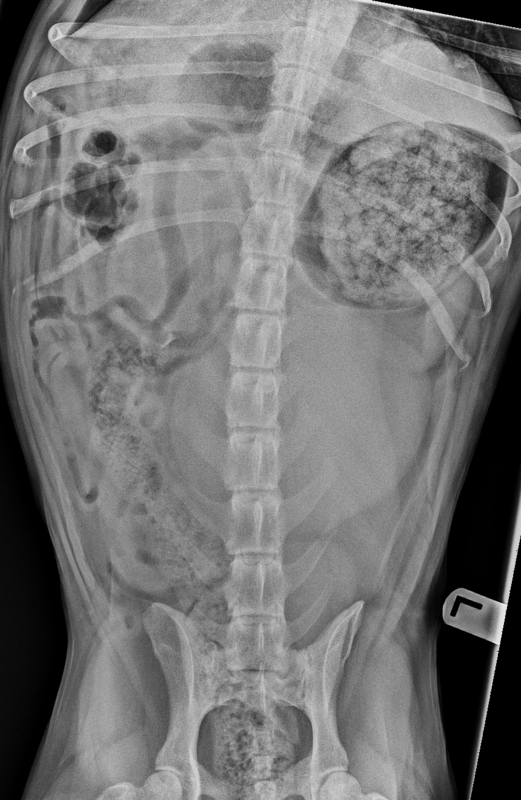 The owner appreciated a bulge in the dog's abdomen and brought her in for radiographs. 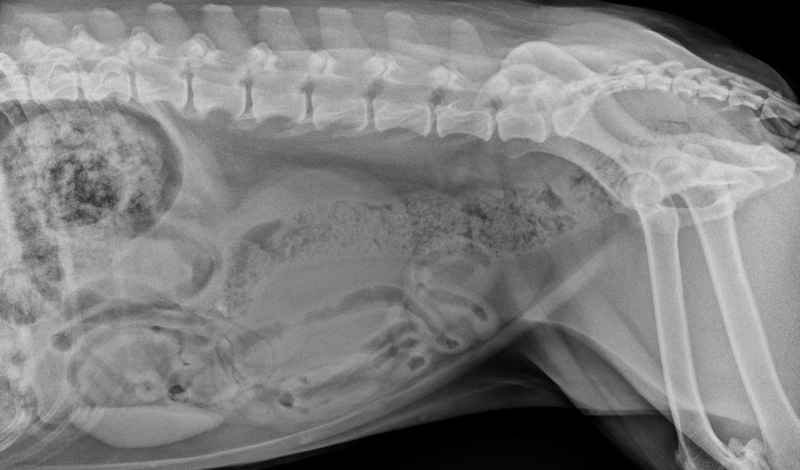 The pertinent finding on this case is the presence of an abdominal mass which is located in the mid-dorsal abdomen to the left of midline, displacing the bowel ventrally and to the right side. Careful inspection shows no evidence of a normal left renal silhouette, so unilateral renomegaly has to be the top differential. The irregular shape makes obstruction / hydronephrosis less likely, so the most likely causes renomegaly would include neoplasia or a large renal cyst. In this patient, the final diagnosis is… a large cystic renal mass! The ultrasound images shows the normal cranial pole of the left kidney with a very large cavitated fluid filled mass extending from the caudal pole. Only a small portion of the mass is imaged, the overall size was >10 cm.